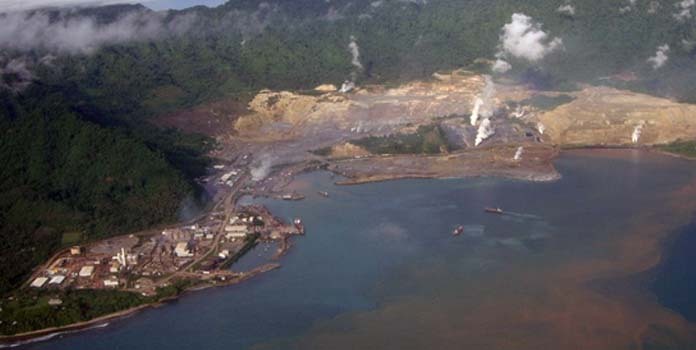 OPERATOR of the Lihir gold mine in New Ireland, Lihir Gold Limited, says it is yet to confirm the cause of a tidal surge on May 12. Villagers at Londolovit where the mine gets its water from had blamed continuous waste rock dumping at sea floor and dynamite blasting at the mine. Londolovit Sagomana Association Inc chairlady Roselyn Arau said Chief Secretary Isaac Lupari had been informed about “on-going man-made disasters” occurring along the coastline of Lihir island. She said Londolovit village had become a victim of these “man-made” disasters. On May 12, a sudden tidal surge struck at 11am causing millions of kina worth of damage to properties. Arau said people fled for their lives leaving Londolovit (Lihir) town deserted. 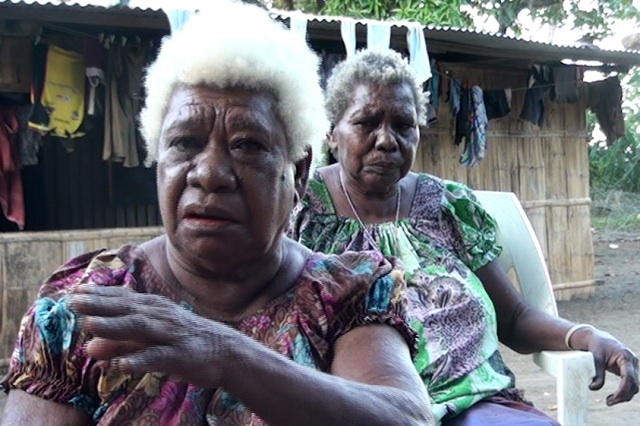 She said it was the sixth time tidal waves had struck their village. 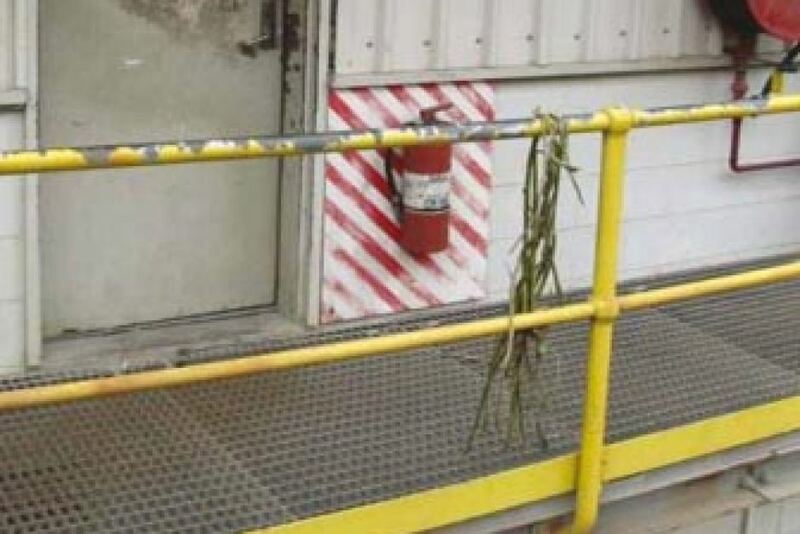 General manager Craig Jetson said the company was working with the Nimamar local level government and stakeholders to investigate what caused it. THE State, through the Mineral Resources Authority (MRA), continued the peace process between major stakeholders in the Lihir gold project in Namatanai, New Ireland, on Friday. “Mining Minister Byron Chan and New Ireland Governor Sir Julius Chan both attended with a big delegation including MRA officials from head office in Port Moresby,” Lihir Mining Area Landowners Association (LMALA) chairman James Laketan told The National on Friday. MRA Lihir project coordinator Vincent Kisso could not be contacted to provide background reports on the event. Questions over MRA’s (and the State’s) stance on issues and laws governing gorgor placements also remained outstanding. Friday’s ceremony was a follow-up to the spiritual and traditional reconciliations held in Kavieng and on Lihir Island in February and March. Minister Chan, who attended the March 5 traditional reconciliation ceremony between the Nimamar LLG and LMALA spoke highly of the peace process and assured all parties, including local landowners and developer Newcrest Mining Limited that the National Government fully endorsed the current way forward. He assured the project proponents that Prime Minister Peter O’Neill and all Cabinet ministers had recognised and endorsed the reconciliation ceremonies. Governor Sir Julius did not attend the March 5 traditional ceremony because he was then overseas for a minor surgery. However, he was on the island on Friday. Laketan said part three of the reconciliation process on Friday would allow for outstanding benefits and commitments in the Lihir memorandum of agreement (MOA) and integrated benefits package (IBP) to be honoured. “Mining activities on Lihir are ongoing and all project proponents must also step up on our activities. “The Lihir Agreements Review (LAR) process is long overdue. Now is the time to sit down with the State, through MRA, and developer Newcrest and fast-track all prerequisites to the IBP,” Laketan said. “The Lihirian people have suffered enough. A review of the IBP had been outstanding since 2007. LMALA general manager Joachim Malele said the ongoing conflict had affected the implementation of projects and programmes under the Lihir Sustainable Development Plan (LSDP). Malele, who was general manager LSDP until his elevation to head LMALA in late March, said there was a major need to progress all chapters of LSDP through the State, landowner association and the local, district and provincial governments. Meanwhile, describing LAR, MOA and IBP processes as “taking too long”, Minister Chan said MRA and Newcrest Mining must release all outstanding commitments, including grants and benefits, to the Lihir people and their local, district and provincial governments. “Put aside your differences and progress discussions to obtain and deliver what rightfully belongs to the people,” the minister said. LIHIR gold mine in New Ireland has a potential mine life of more than 30 years based on current gold reserves, mine general manager Craig Jetson says. He told a recent stakeholders meeting that an optimisation plan known as the “Lihir Pit Optimisation Plan” would set the pace of the mine’s operations into the future. An explanatory note from Lihir owner Newcrest to The National said the optimisation plan was being undertaken to optimise the integrated life of mine plan for Lihir, including seepage barrier options. “It is effectively looking at different mine sequencing and ore scheduling options, the most appropriate mining methods and civil engineering options to help Newcrest decide the best way to expand Lihir’s open pit and access additional ore sources,” the company said. near shore cut-off wall and harbour infill replacing previously proposed cofferdam. As part of the feasibility study, Newcrest would work with all relevant government agencies and communities to identify any approvals and consents necessary to implement the proposed mine plan. Craig revealed expansion plans to build an inner harbour wall that is expected to start late this year at an estimated cost of K1 – K1.5 billion. He said completion of the project would set up mining for next 30 years. “That’s a bright future for the Lihirian people and Papua New Guinea,” he said. A RECONCILIATION ceremony marked the end of a six-year conflict over the ownership and benefits from the Lihir Gold Mine in New Ireland Province. The ceremony marked an understanding that was signed in Kavieng by Governor Sir Julius Chan, Nimamar Local Level Government president Ambrose Silul and LMALA chairman James Laketan in March 2015 to work together for the best interest of the people of Lihir and New Ireland. The reconciliation process concluded that there would be two parts to the peace process: the first being the spiritual reconciliation held on February 26-27. The second part was performed on Lihir Island at Potzlaka, a Government station on March 5. A provincial Government delegation led by chairman sports and youth representative Engelberth Lutham attended the reconciliation ceremony at Potzlaka. Mr Lutham congratulated the leaders of Lihir, especially the LMALA chairman James Laketan and Nimamar president Ambrose Silul for their initiative, dedication and commitment through hard work towards the preparation of the successful event. “Working together, there is nothing we cannot do,” Mr Lutham. The reconciliation process paves the way forward for the six-year conflict over the ownership and benefits of Lihir sustainable development plan as stipulated in their integrated benefits package 2 signed in 2007. The six clans and 15 wards, with all the leaders of Lihir Island stood together to express great satisfaction as a result of the successful ceremony after suffering from past years’ difference over the benefits from Lihir gold mine. Governor Sir Julis Chan, who was overseas and could not attend, said this was a significant event not experienced elsewhere in the country. “Once again, New Ireland has shown the way to a peaceful and lasting settlement of disputes,” he said. The Los Pelambres Mine in Chile proposes to dump wastes into the ocean. 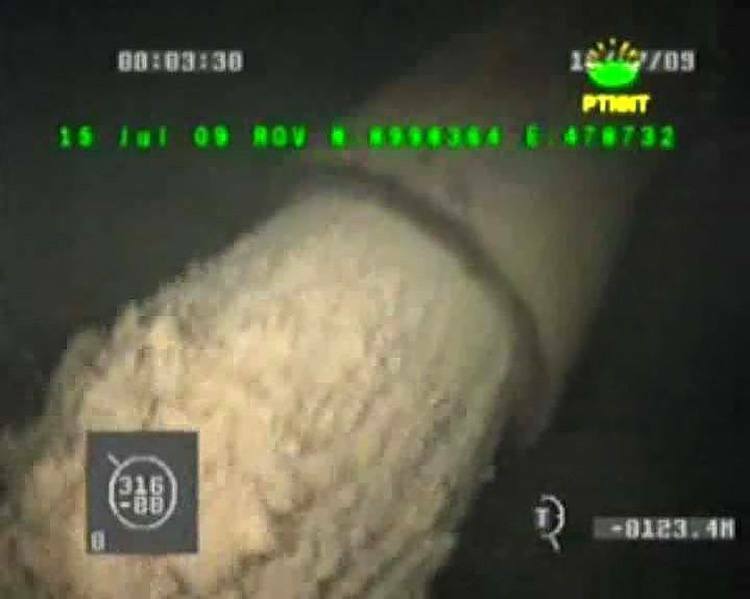 Picture a 4-foot diameter pipe running into the ocean filling the offshore canyons at a rate of 160,000 tons per day. The pipe runs from an enormous gold and copper mine directly into the Indian Ocean. The pipe is filled with mine “tailings”—a toxic sludge of heavy metals, rock and coagulants mixed in with the pulverized mine wastes that spreads and covers the seabed dramatically impacting plant and animal life and polluting the surrounding water. That is the Deep Submarined Tailings Disposal (DSTP) system at Newmont Mining’s Batu Hijau copper and gold mine in Indonesia. Although Batu Hijau is the biggest mine that is using DSTP, at least 16 mines in eight countries are also using DSTP, with others to follow. Indonesia, Papua New Guinea and Norway lead the way using DSTP at their mines. In Chile, mines in the mountains north and east of Santiago are proposing to run pipes 50-100 kilometers so they can dump into the canyons of the Pacific Ocean off of the Chilean coast. 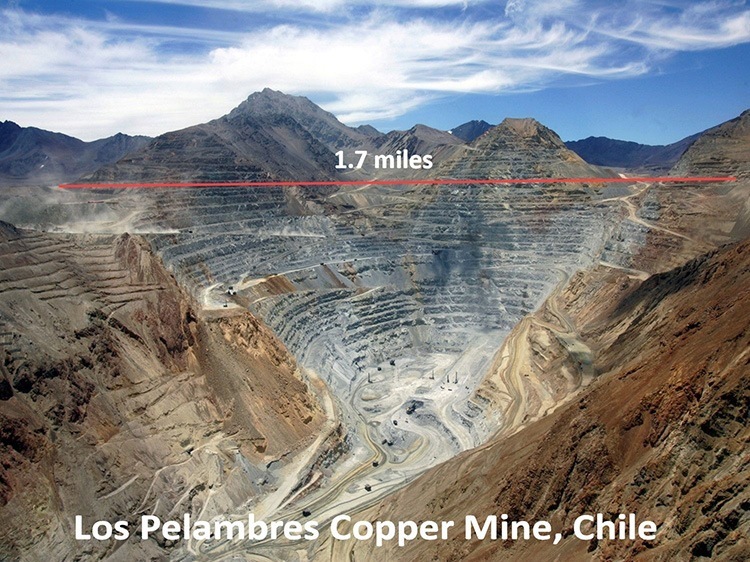 The enormous Los Pelambres Copper Mine in Chile proposes to use DSTP in the future, discharging its wastes directly into the ocean. 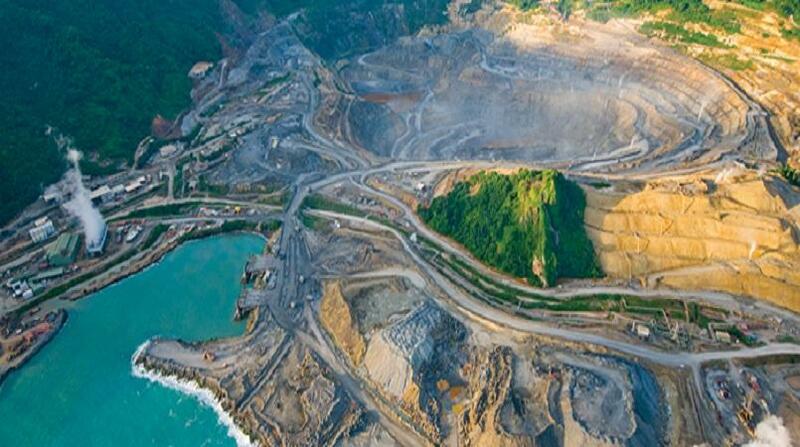 The 4-foot diameter pipe dumping mining wastes into the ocean at Batu Hijau mine in Indonesia. While you might think this mining disposal would be limited to the unregulated developing world, Norway actually leads with the most mines using this polluting disposal system. The mining wastes are dumped into Norway’s pristine fjords, filling much of those fjords over time. 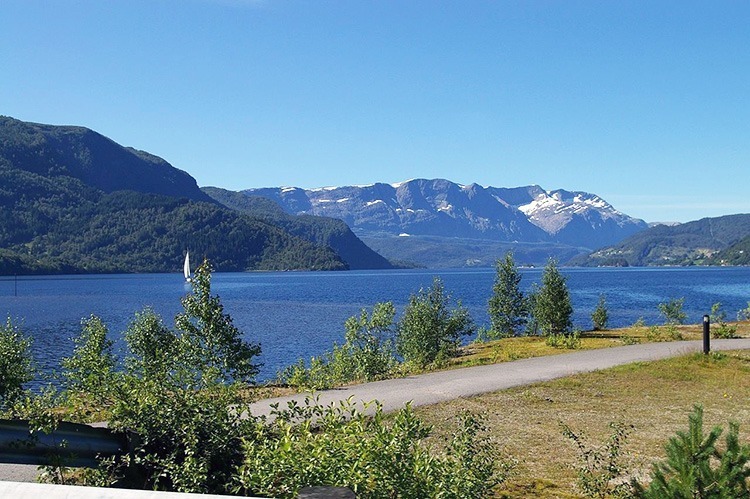 One such mine has prompted a backlash by Norwegians who, working with Friends of the Earth International, have started the Save The Fjords campaign. The Forde Fjord in Norway would be partially filled with mining wastes. The Norwegian proposal sparked the “biggest civil disobedience actions in newer Norwegian history” where hundreds of people protested and 80 people were arrested blocking the mining action and trying to save the fjord. Through Global Greengrants Fund, a grant has been given to Friends of the Earth International to help inform Norwegians about the Engbo mine and its ocean disposal. 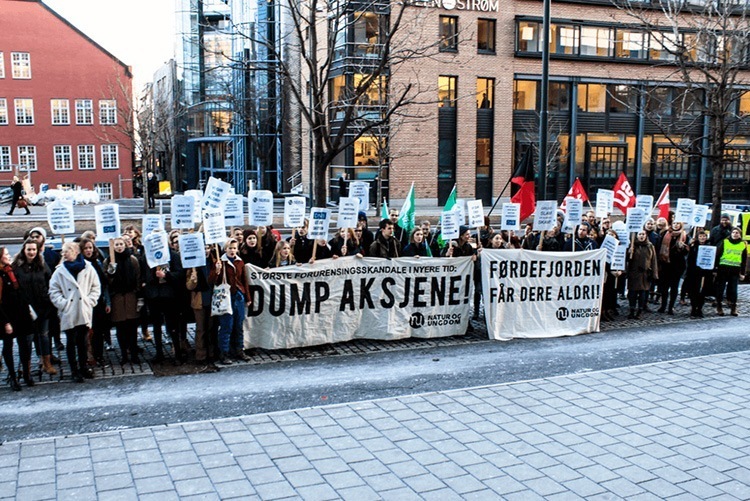 Norwegian protestors rally against filling their fjords with mining wastes. It could make sense in some cases to dispose of mining wastes in the ocean, but only if those wastes were non-reactive and only if the toxic heavy metals in the wastes are removed. In addition, if ocean disposal does take place, it should be closely monitored and regulated and it should only happen where local people are not dependent on the marine environment for food. Proposals to use DSTP along the coastline of Chile threaten the Humbolt Current System (HCS) which sustainably produces almost 20 percent of the annual harvest of fish biomass. The HCS is the most productive marine ecosystem on the planet. Just four mines would dump one million tons of mine waste into the HCS every day, one gigaton every three years. Over the last 25 years, international regulatory bodies including the 1996 London Convention and Protocol by the International Maritime Organization and the 1992 Oslo Paris Convention have attempted to set minor regulations for DSTP, but those standards are mostly being ignored. In the very few places where monitoring has occurred, studies have measured dramatic decreases in the amount of benthic meiofauma (animals less than I millimeter long) as well as all forms of benthic macrofauna (larger than 1 millimeter), which, along with phytoplankton, form the basis of the food chain in marine environments. Almost no research has occurred about the consequences of dumping 100’s of millions of tons of mine wastes at current DSTP sites. This phenomenally destructive pollution is virtually unregulated across the planet’s marine environments. ** Terry Odendahl, PhD, is president and CEO of Global Greengrants Fund. Roy Young is the former executive director of Global Greengrants Fund and founder of Nature’s Own. Gary Wockner, PhD, is an environmental activist, writer and consultant to Global Greengrants Fund. Will a $1billion cost saving at Lihir be a great outcome for local people and the environment? Australian gold producer Newcrest Mining on Monday reported that its board had approved the Lihir pit optimisation feasibility study, after a prefeasibility study (PFS) into a new plan proved viable. The purpose of the new PFS was to optimise the integrated life-of-mine plan for the Lihir operation, in Papua New Guinea, including different mine sequencing and ore scheduling options, the most appropriate mining methods and civil engineering options. The PFS estimated a forecast reduction in the estimated capital expenditure (capex) requirement for the seepage barrier to $125-million compared with the $1.29-billion price tag in a 2013 PFS, which included a cofferdam. The mine plan now being evaluated under the feasibility study was based on three main stages, the first of which would occur from 2017 to 2021, and would include mining the Minifie and Lienetz deposits, using medium-trade stockpiles and prestrip work for successive cut backs. Stage 2 would occur between 2022 and 2026, and would include mining at the Lienetz and Kapit deposits, medium- and low-grade stockpiles and prestrip for successive cutbacks. Stage 3, which would occur between 2027 and 2031, would see mining continue at Lienetz and Kapit, as well as the accumulation of low-grade ore stockpiles. However, the average feed grade was expected to increase in this phase, owing to access to the higher grade Kapit ore.
“This project is a testament to the team challenging the existing thinking and developing a better solution. With the new operation strategy comes the potential for new, more cost-effective opportunities for accessing the Kapit orebody,” commented CEO Sandeep Biswas. He added that a potential capital saving of $1-billion for the future seepage barrier was a great outcome for the Lihir operation and for Newcrest shareholders.